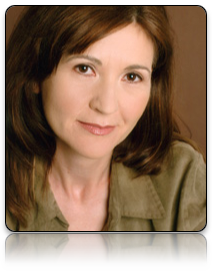 Laura has been a member of Actors Art Theatre Ensemble since it's Los Angeles debut. She has appeared in numerous plays around town, including Crimes Of The Heart, Curse Of The Starving Class, and as Anna in And Miss Reardon Drinks A Little, and in As You Like It, On Four and North of Providence,, as well as her solo show Sweety's Big Experiment here at Actors Art. She recently starred in the features Table For Two, and Shattered Illusion, with Bruce Weitz and Morgan Fairchild, and Life After Death. She appeared as the stoic family maid in Michael Landon, The Father I Knew for CBS. She is married to writer Tim Reilly.